Do you like making homemade tacos or tortillas, but are tired of store bought shells? Soft shells are the best option as then are not nearly as messy as hard shells. These are really easy to make if you have the proper tortilla maker. 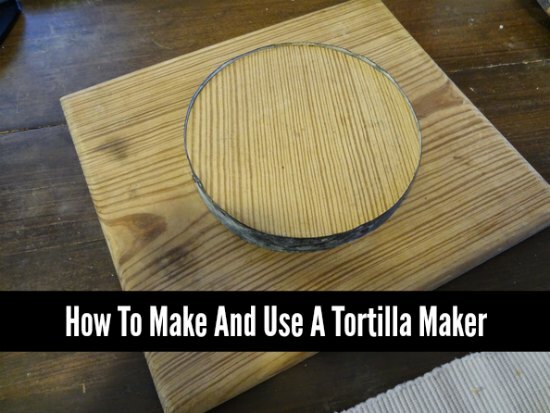 A homemade tortilla maker is meant to be used with dough you make from scratch. The key is to make tortilla shells that are the same size. This is easy to do by using a few basic materials. You only need to use a coffee can and a scrap piece of wood. The metal tip of the coffee can be attached to the piece of scrap wood to make a tortilla maker. You will need a cutting tool to remove the metal tip of the coffee can. A rolling pin is also needed to flatten your dough to make each tortilla. You can even make a few modifications if needed.